With Living on Light it is now possible to be nourished by Universal Energy which it actually is. Living on Universal Energy is a natural part of our Human Evolution. Living on Universal Energy is not very much about food but much more about personal development and the freedom you get by letting go of old mental and emotional patterns. It has nothing to do with never eating again. To live on Universal Energy this way is no miracle cure. Freeing yourself from the dependency of food in order to survive is just a tool for you to gain freedom in all aspects of your life. During the shift in Energy- and Consciousness on December 21st 2012, every human being had an energy center prepared in the brain that makes it possible for humanity to start Living on Energy. The center needs to be activated since we are not yet that far in our human evolution, that we can do it ourselves. The activation happens through an initiation or healing which you can only get here at our place. After the initiation you are able to live from the Universal Energy effortlessly. No religious or spiritual practice or background is needed, so you do not have to do meditations or exercises to be able to nourish yourself from the Universal Energies. Your brain capacity will also increase by 2-3 %. This opens up a wide range of opportunities for you. Living on Light is something entirely new and developed by us solely. This method cannot be compared to anything previously known such as Sun Gazing, Bi Gu and Breatharianism, which needs meditations or exercises to work. Living on Universal Energy this way is also the freedom to choose exactly, what you want to eat, when you feel like it. You will get to enjoy food on a whole new level, since you no longer need to eat out of utter obligation in order to stay alive. Freeing yourself from the dependency on food in order to survive is not the main theme here. It is the personal freedom you gain and the boost of your personal development. And when you are living on Universal Energy this way you still have to drink water and eat a little because of a strong detox. So be aware of that. We offer different kinds of seminars for you to be able to live on Light. You can just have the activation of the Energy Center in the brain and get the benefits from the Universal Energies. If you want an in depth health examination and coaching combined with the initiation, that is also an option. Just by the activation of the energy center in the brain, every Light-student is able to get nourished through the Universal Energy. But the logical mind does not fully understand this, so body and mind need to learn this new way of working together. For the logical brain to understand that you get nourishment from a new source, the third option is to do a water diet which last for about 10 days. The duration depends on the individual. This period you only drink water, get no food or other liquids. When the brain understands its new source of nourishment, you are transformed to live on Light, and the brain quits its old survival instincts regarding food. By doing the water diet you also help lift the collective consciousness, so that it will be still easier for everybody to live on Light. During the water diet an in depth detox process of the body, emotions, and old mental patterns begins like you have never seen before. You cannot know what will happen for you exactly, but you will be pushed in the areas in which you need to let go the most. No matter if it is physically, emotionally, or mentally. For more info about the different seminars, see Seminars. Call us or send us an e-mail if you have questions about children and Living on Light. A fast and a water diet cannot be compared. When fasting you are draining the bodily resources. During the water diet the body is learning to nourish itself in a whole new way, and the detox begins. This detox is very different from the one during a fast, because it is so much stronger and a special part of the initiation with Living on Light. It includes both body, mind and emotions and this can be quite a handfull. During the water diet everyone cleanses out a lot physically because of this new kind of detox, so you might loose some weight. 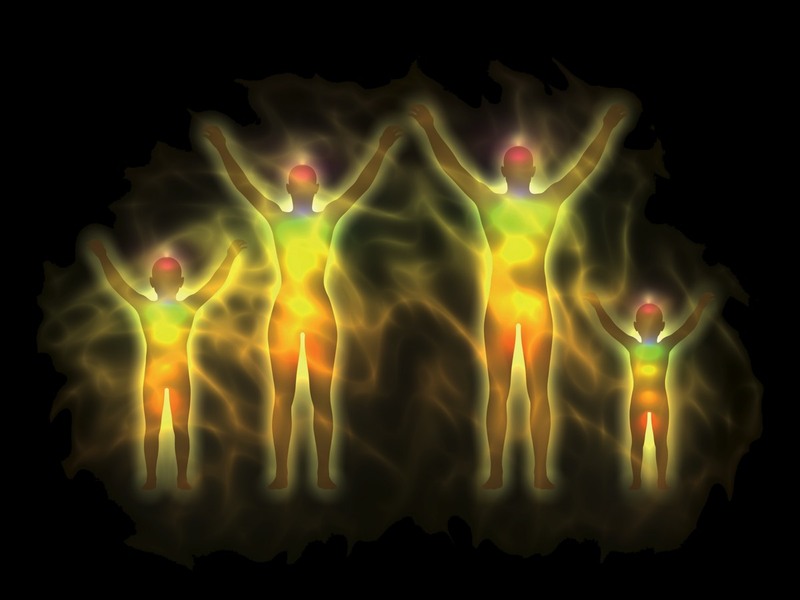 After the cleansing out, the body starts using the energies to rebuild the body and make it even stronger than before. The detox will continue when you start eating again, but less strong. When you do not eat, the detox will be stronger again. That is why our Light-students have to eat a little bit, when the detox-symptoms is getting too strong, because eating slows down the detox. And you still have to drink water no matter if you are eating or not. To help your body handle the detox process, we strongly recommend that you get our health and Light expertise during the whole water diet with on-going health checks and coaching. We do not recommend that you do the water diet on your own. It is an extra safety precaution for yourself, your body and health, so that you can begin your new way of living the best possible way. Along with the initiation the Light-energies starts a strong detoxification of bodily waste. The detox cannot be compared to anything previously known and is a special part of the Light-initiation to speed up the cleansing processes. When you are living on Universal Energy the body detoxes 24 hours non stop. Before the initiation detox was only happening 5 minutes during the REM sleeping phase. That is why this new kind of detox is so strong, both in the beginning and in the time period following, depending on the individual. Some Light-students detox a lot and go through periods of tiredness, dizziness, increased sweating, rashes, feeling lack of grounding and getting overwhelmed by emotions or thoughts. Those with e.g. old hidden anger or sorrows get confronted with these emotions to let go of them. Those thinking a lot and controlling every little detail in their life, will have to let go and start handling life in a whole new way. Depending on what you need to let go of the most, the detox will put its spotlight on that. We can help out these detox-reactions with homeopathic medicine, healing and coaching. For those living at a distance from our treatment center it is also possible to get long distance treatment through our Bio Feedback system or the S.C.I.O. It is a highly advanced computer system that works with energy in very advanced ways. It is able to measure the state of your body at a distance and then treat almost every problem regarding your health, mind, emotions and also help you in grounding the new Living on Light energies. Call us or send an e-mail to info@LivingOnLight.dk for further info. Most Light-students start eating again just after the transformation. As mentioned, eating slows down the detox process and actually supports the organs, so they are able to keep up with the process of cleansing out. And you still have to drink water no matter if you are eating or not. So drinking water and eating will still be part of your life once you have chosen to become a Light participant. Not because you are hungry or because your body is in need of nutrition, but to slow down the detoxification process. The detox period is completely individual. To most Light-students the first bits of food after the water diet taste tremendously delicious. The sense of taste has changed into new levels. To start eating again is just as interesting a phase as being on the water diet. No special diet is necessary. But water is. You might discover that food you have been avoiding before suddenly is very appealing and delicious. For instance vegetarians crave meat, and many crave sweets, cake, junk food or salty food. The food we have denied ourselves, we will have to experience again as part of the detox of body, mind and emotions. So do not worry about that. Eat, enjoy while it lasts and then let go. If you eat something, you do not really feel like anyway, it will taste badly. It is important for you not to continue your old eating habits when you start eating again. So you have to be conscious about what you choose to eat and why. Be a mindful eater and pay attention to how much or how little food you actually need. Some do however have to go through phases of overeating as part of their process. If that is the case, just relax. You will get enough of it at some point. If you find yourself getting into old patterns of eating please call us. We can guide you into finding a good and healthy balance in your new life with living on Light. If you have been a weight watcher, have had an eating disorder or if you have had ideas of spiritual enlightenment through a fast, please pay special attention and do not hesitate to contact us. After the transformation eating is mostly about allowing ourselves everything we feel like eating or drinking. When everything is allowed, then at some point it is not that interesting anymore. That way we will let go of old mental and emotional ideas of dependency on food. Letting go of food is a proces that takes time. First step is the water diet freeing us from the physical need for food. After the transformation we use food again to free ourselves from old mental and emotional blockages. This way we learn to act upon our feelings and intuition and not on our thoughts. Only then will we be able to live 100% on Universal Energy. This proces takes time depending on the how much detoxing the individual is going through. When can I stop eating and drinking completely? It is very important that you continue to eat and drink water after your Light seminar. This is only to slow down and help the detox process, so your body and your organs are not damaged. It can be dangerous and very harmful to your health if you stop completely with eating and drinking after the seminar. Some Light participants do have a desire to stop eating and drinking completely. This is also possible after a period when the detox process is not as powerful. How long it takes is completely individual, and if you want to stop eating or drinking completely, it is important that you contact us, so we can give you advice and guidance. Through health checks it will also be clear, if you are ready to live without any food and water at all. Do not stop on your own as this may be harmful to your health. So please contact us before getting into anything like that on your own. We strongly recommend not to do this without our guidance. No Light-students yet are living a 100% on Universal Energy, but their food intake have been reduced 70-80%. They can have some days without food and still they drink water. As a joke we say that we get food hangovers from eating. Many Light-students discover that some type of food is worse than others depending on their blood type. Therefore following the Blood Type Diet by Peter D’Adamo is helpful to most Light-students, but use it as a guideline and not a rule. Depending on your blood type the exact same beverage or food item can be good for one blood type and bad for another. See the book “The Blood Type Diet” by Peter D’Adamo for more info. If you are among those, who detox a lot upon the initiation or transformation, you can get to experience periods of feeling hungry, also a long time after the transformation. This is because our bodies cleanse out in layers, and with time several layers of Candida fungus can show up. So until you are free from Candida, be aware of this. The Candida is craving food which makes it difficult not to eat. Only when the fungus is cleansed out it will be effortless to live on Energy. It is also very normal, that old health issues pop up again, because these also need to be cleansed out of the system. We can help you with a health check, homeopathic remedies and guidance. You should not in any way sign up for this seminar just because you want to loose some weight. We clearly see that Light-students with that wish, hardly loose any weight during the water diet or later. And those who are afraid to loose weight, experience a greater weight loss. When you let go of expectations regarding your weight, the body will adjust itself and find its own ideal bodily weight for you. The body´s ideal is rarely the same as the magazines. For those living on Energy the blood sugar gets corrected immediately. Living this way, it is possible to work all day without thinking about food at all, because your blood sugar is stable 24-7. So those familiar with roller coaster levels of blood sugar will experience big changes. Living on Energy the body gets everything it needs: vitamins, minerals, amino acids, hormones, enzymes, proteins, trace elements etc. The body gets charged like a battery from the Energy. Instead of using food for its processes, it now uses Energy, so you do not need to worry about that. However, because of the strong detox the body might need e.g. extra vitamins for limited periods of time and that might create some ups and downs if the vitamins is measured. We use homeopathic medicine to help this out when needed. Most people living on Energy only eat in the evening when they eat, so you get much more time not having to cook, shop and do the dishes. The less people, who are living on Energy, eat, the less energy the body uses to digest and excrete bodily waste. Therefore the body needs less rest and sleep. When not eating some manage with very little sleep, but when they eat again, the need for sleep increases. Many of those living on Energy also tell us, how their mental clarity increases, and their stress levels drops to none. We also get reports telling that common signs of aging like grey hair, liver spots, wrinkles, aching joints and the like, decrease or vanish. Elderly people living on Energy, with regular visits at the doctor, tell that the need for antihypertensive medicine has diminished or is eliminated. Or their eye-sight has improved. Diabetics also report that the need for medication for Diabetes I and II has diminished or become needless despite of 10 years with the diagnosis as a diabetic. A part of your Light Seminar (except the Mini Seminar) is also an aura-film and aura analysis. This way you can see the changes in your aura before and after the transformation. Through the aura analysis you also get a new understanding of yourself. Your aura e.g. shows your personality, your potentials, your strengths and weaknesses. The primary purpose of living on Energy is the freedom you get and the personal development starting when the logical brain accepts, that it is now possible to be living on Universal Energy. Once you have finished your Basic Seminar, our experience is that your personal development gets intensified and change happens even faster than before. Second, the purpose is to free yourself from the dependency of food in order to survive as a human being. And that is only 1% of the entire Living on Light experience. Living on Light´s main purpose is the freedom you get. So be aware of that. You do not get an instant stop of eating and drinking water through our seminars. To be living on Energy does not mean you will never get sick again. Diseases occur to make you aware that something is wrong, and changes are necessary. Therefore you will still have to learn even though you are living on Energy. Our method has nothing to do with never eating again. It is however the beginning of freeing yourself on numerous counts in your life. Your personal development is also boosted tremendously. You will see, that change is necessary in all important areas of your life. You will have to develop along with the new Light-energies to move on and experience progress. The less you do yourself to make the necessary changes in your life, the harder you make your personal development and your new life with Universal Energy as nourishment. Only by letting go of the old personal habits and patterns, you will be able to take the steps into the new life that the Living on Light seminar has laid the foundation for. To be living on Universal Energy this way is no miracle cure. Freeing yourself from the dependency of food to survive is just a tool for you to get freedom in all aspects of your life. Living on Energy this way you will have brand new experiences on how the energy is directed by your focus. That, which you put your focus into, is energized. So if your focus is put into all the old habits and problems, then you energize this part of your life, and the old habits and problems will be worse and grow. This new Energy makes it possible for you to let go of all the old stuff simply by focusing on all the brand New you want in your life. Thus a big part of the changes is totally up to you: by focusing on what you want and actually do something about it, you will create the changes. Let the past be the past. To many this is really difficult to do. Most have had a tendency to put their focus onto problems throughout their life. You will not be able to continue down that path when you are living on Energy this way. You will have to let go of the old way of thinking and being. Your new system for navigation is your feelings and your intuition. Not your thoughts which create all the problems when they try to steer you away from feeling and intuition. Say welcome to a whole new way of living in all aspects of your life. We disclaim any responsibility if you think you are now able to live on Universal Energy simply by having read or heard about our method. People sometimes tell us that they now want to start living on Energy because they have read our website and now have received a message or channeling from the spirits. Our experience is that those people often have a great desire for spiritual enlightenment and think this is the way to do it. The Seminar we offer cannot be channeled - it is solely about Human Evolution. The method is unique for our place and cannot be copied by anyone or compared to anything previously known. We always recommend an examination by a doctor or by our therapeutic team, since we have thorough knowledge on how to live on Universal Energy. We recommend this to keep you from doing irreparable damage to your body and organs. But in the end you hold the responsibility solely.